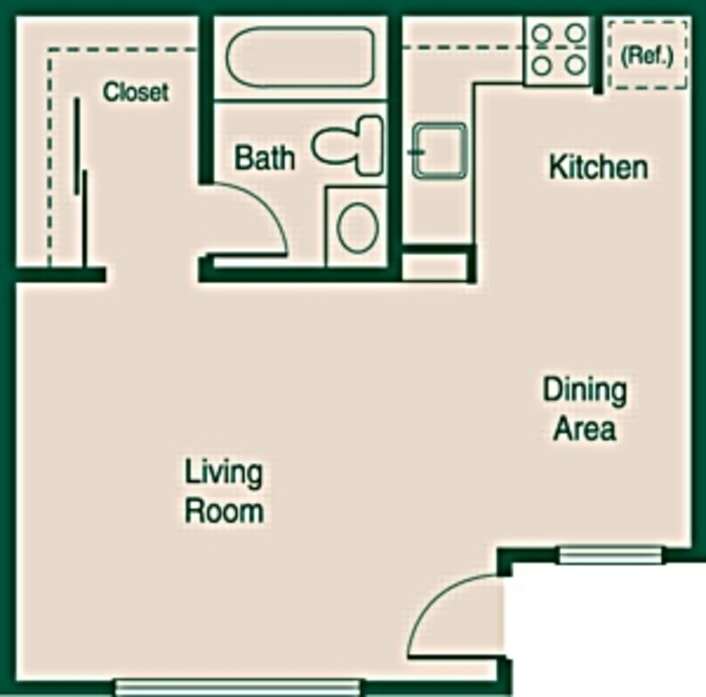 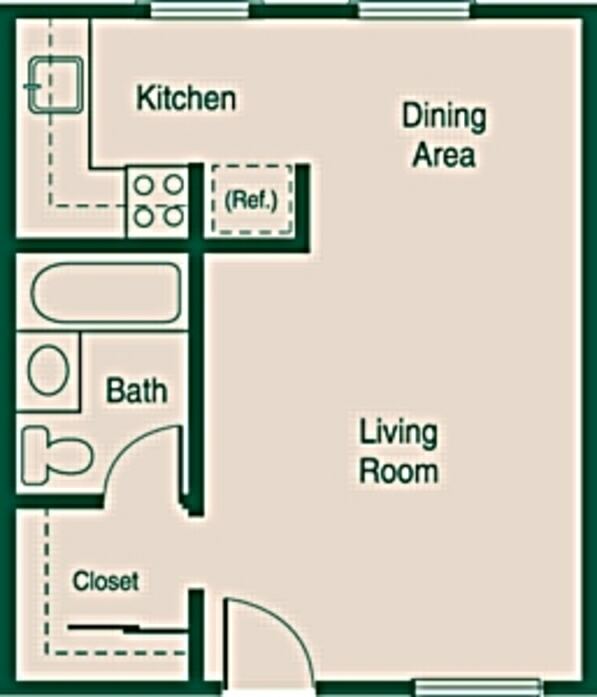 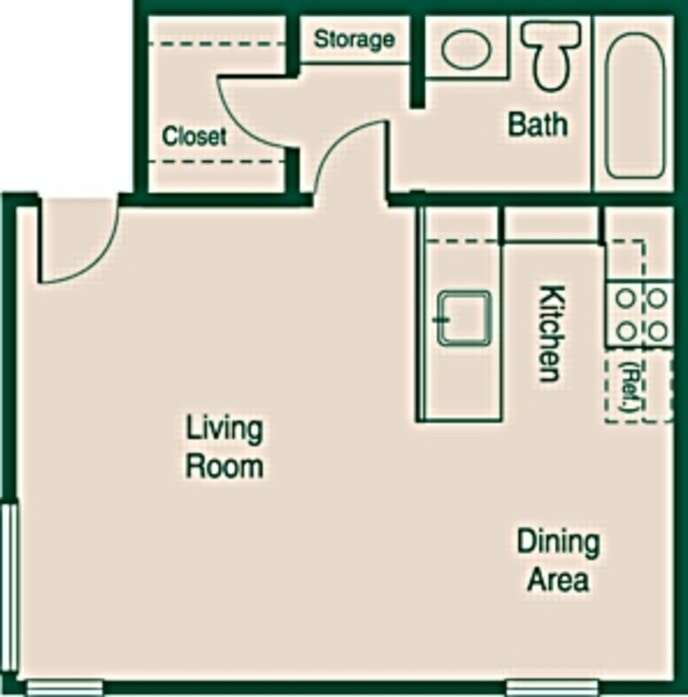 Our studio and 1 bedrooms offer lighted walk-in closets, shower/tub combo, large living area and linen closet. 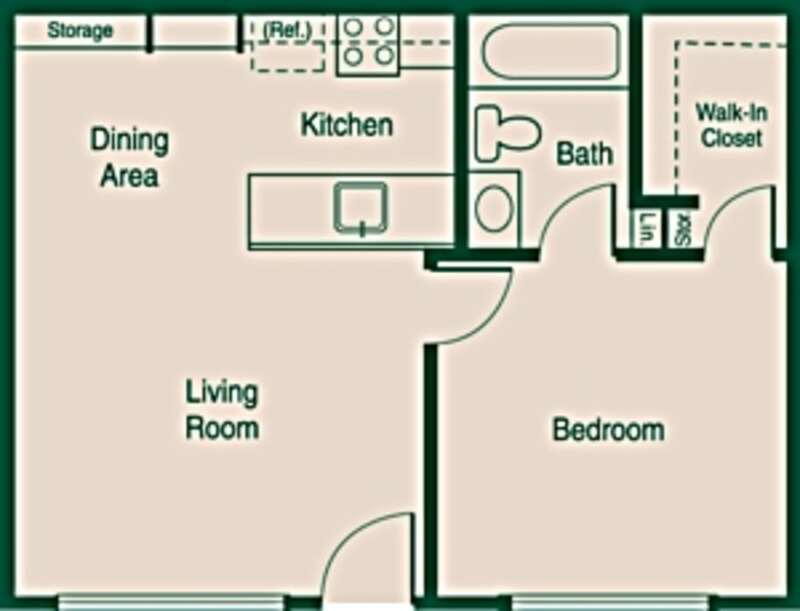 Two additional windows not shown in floor plan. 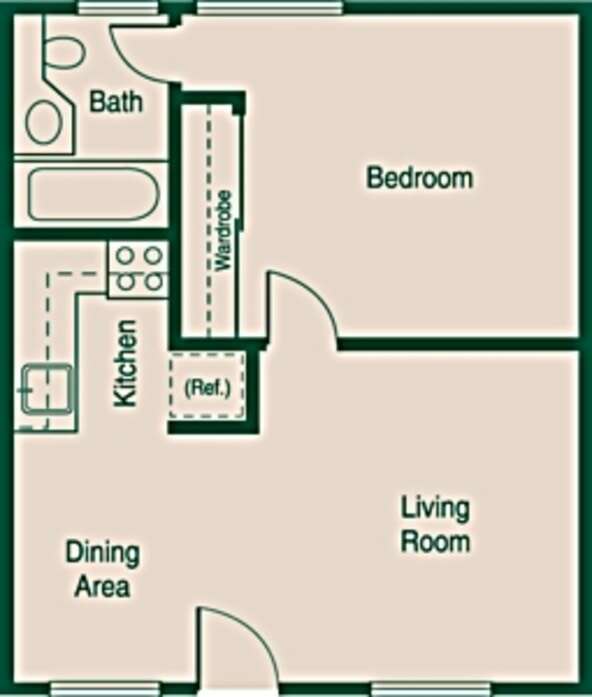 One in the dining room area and one in the living room.